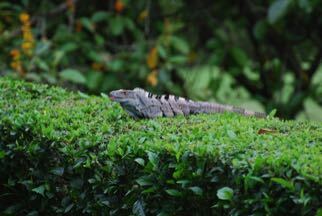 It was love at first sight...when we arrived at Los Suenos. We fell in love with the country, the people and the resort. We're so happy to share our second home with friends, guests and so many CCA members over the years. We decorated the condo with the amenities that we needed during our visits. So we're confident you'll be delighted with the unexpected extras. 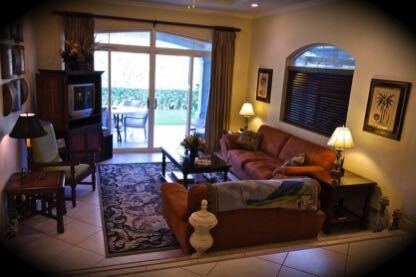 Designed in stunning Spanish Colonial Architecture, our spacious 1900 square ft. suite sleeps six in a comfortable living space using a two-bedroom, two-bathroom floor plan. Enjoy sunsets or morning coffee on our covered terrace overlooking the fairway and the lush, gentle slopes of the mountains encircling Herradura Bay. No smoking in the condo, but you can enjoy your Cohibas on the patio. 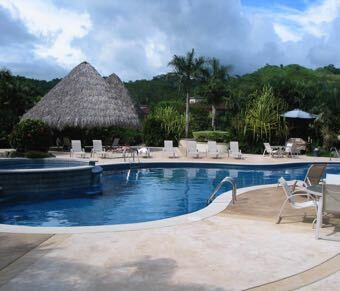 Children welcome, Los Suenos is a family friendly location, no pets. Our hi-speed internet connection is broadcast via a wireless hub in the condo. Bring your laptop or smart phone and stay connected to e-mail, phone apps and the web. 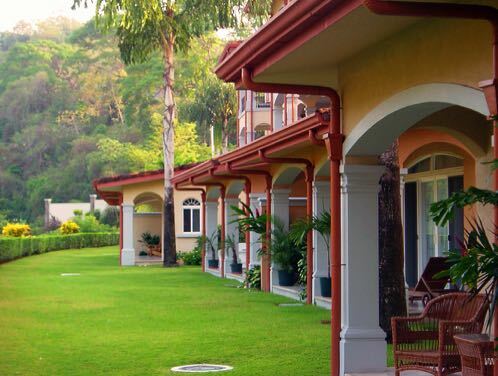 Our guests enjoy the use of two swimming pools, landscaped gardens, barbeque areas, shade palapas and charming walking paths that meander alongside the creek and golf course. Plus, golf, fitness & spa packages are available from the Marriott Resort right on the grounds. The Beach Club is truly one of the premier amenities at Los Sueños and is designed for the exclusive enjoyment of Los Suenos residents and guests of our condo. The $3 million facility features an impressive, free - form swimming pool and Jacuzzi, plus shower and change facilities, expansive decks, fountains, swim - up bar and an elevated, white sand beach with shade palapas and a spectacular view of Los Sueños Marina and Herradura Bay.